Our solo instruments range from the bargain-priced instrument for first-timers, the Weltmeister Cassotto, to the Supra for sophisticated demands. 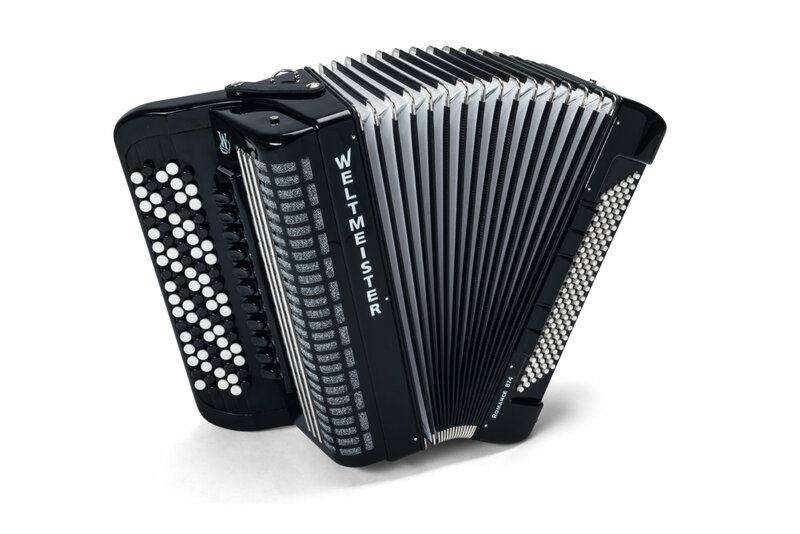 The Supita II is our top of the range model. 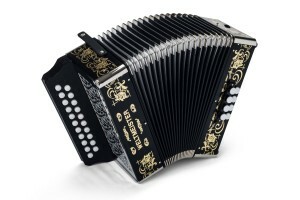 For more solo accordions have a look in our online shop. Our button accordions are available as B and C systems, in various sizes and with different features both for beginners and advanced players. 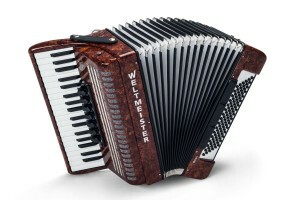 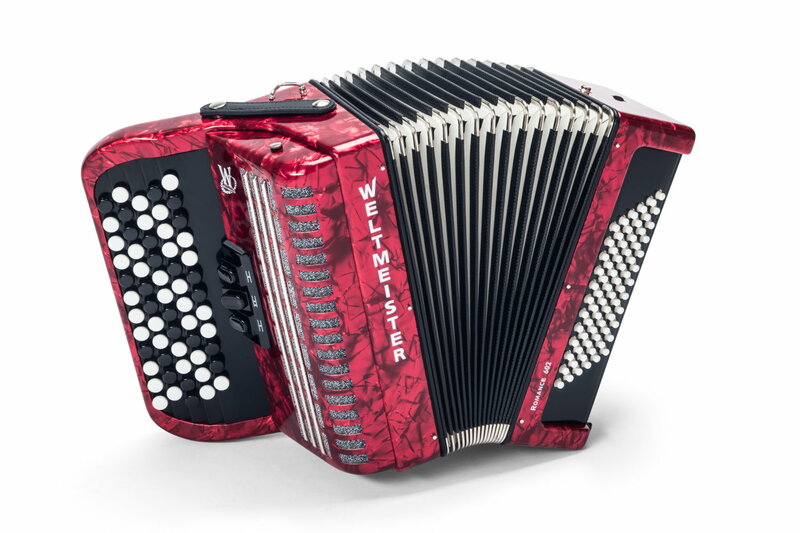 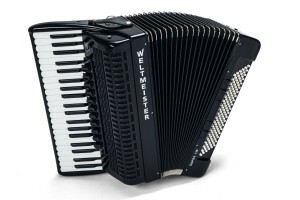 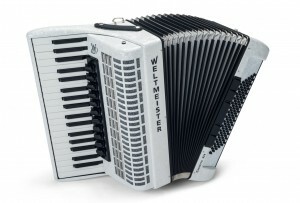 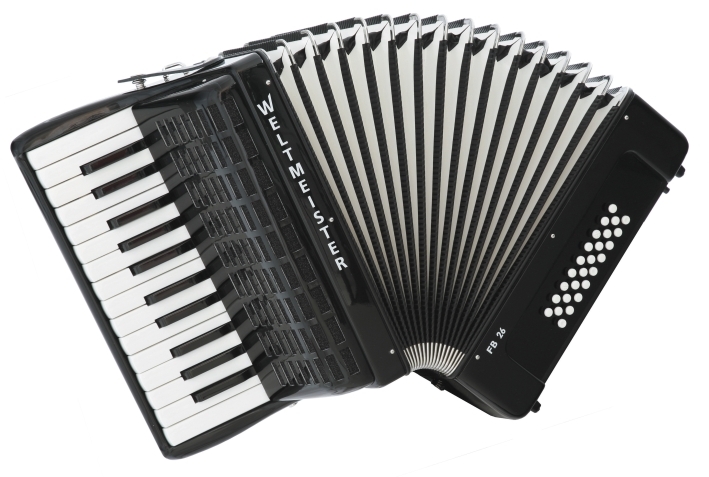 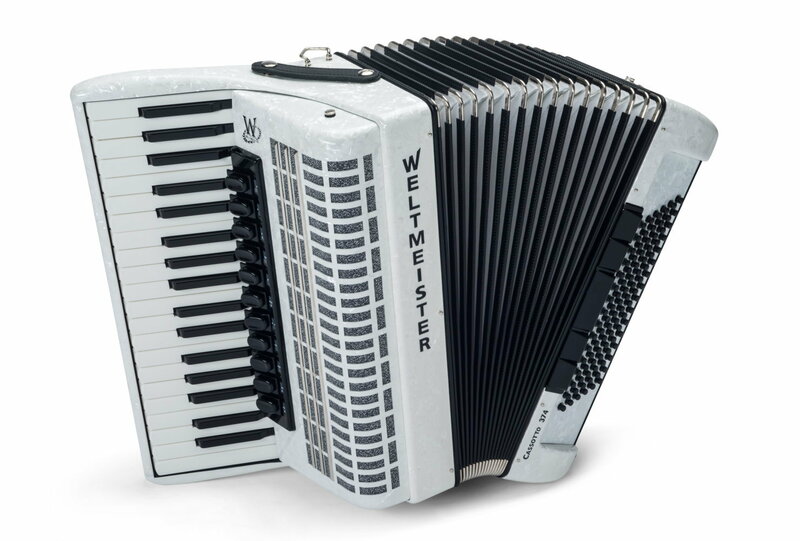 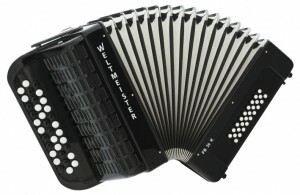 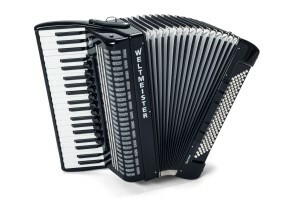 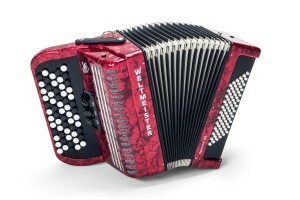 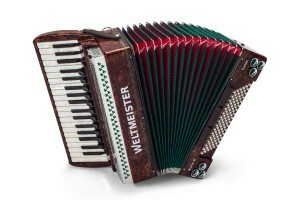 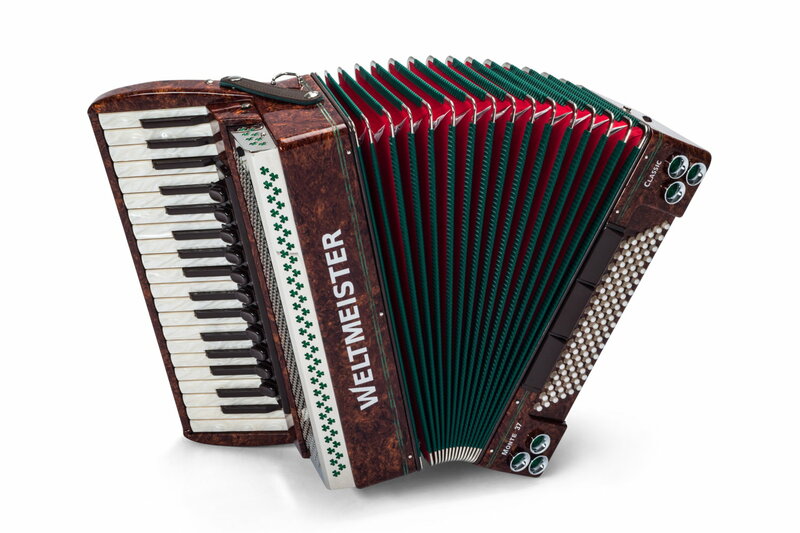 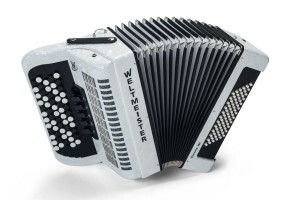 Keyboards supported on five axes and smooth-running bass mechanisms as well as high-grade workmanship are attributes of our Weltmeister accordions. 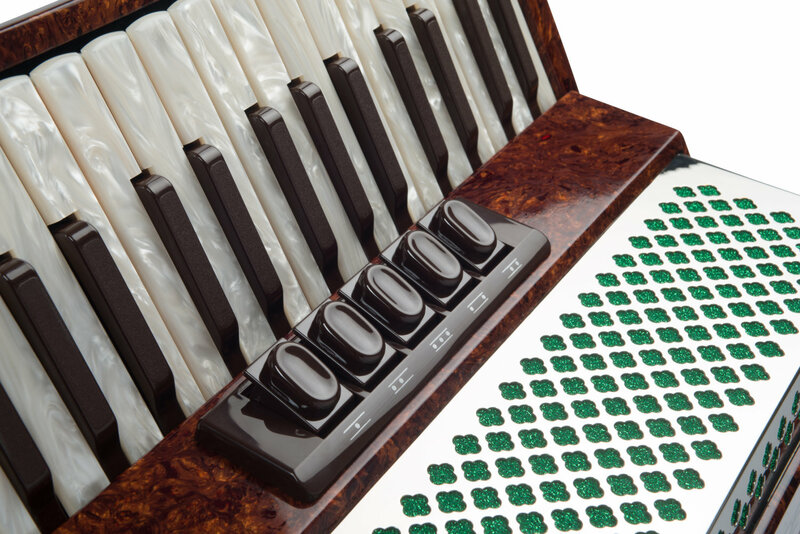 For more button accordions have a look in our online shop. Our Weltmeister piano accordions range from small instruments for novices to large orchestra models. Their distinguishing features are outstanding keyboards, smooth-running bass mechanisms and top quality. 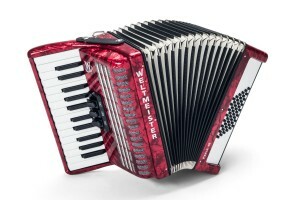 For more piano accordions have a look in our online shop. Our Folklore series is available either with standard or Helicon basses. 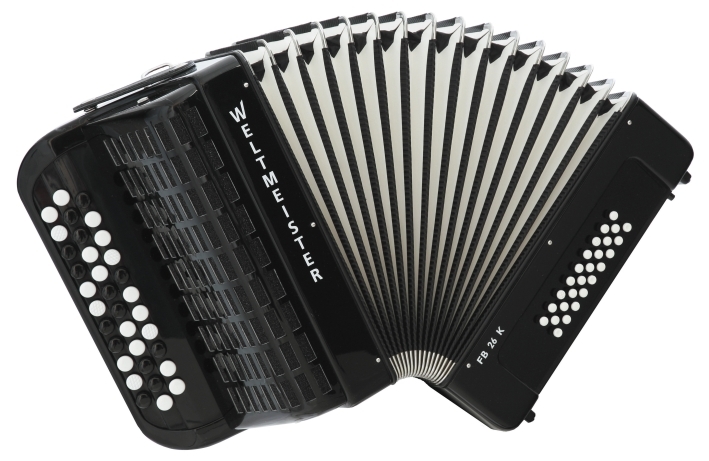 The two reed ranks for tremolo can be switched separately, so that the you can use the different tremolos as the whim takes you. 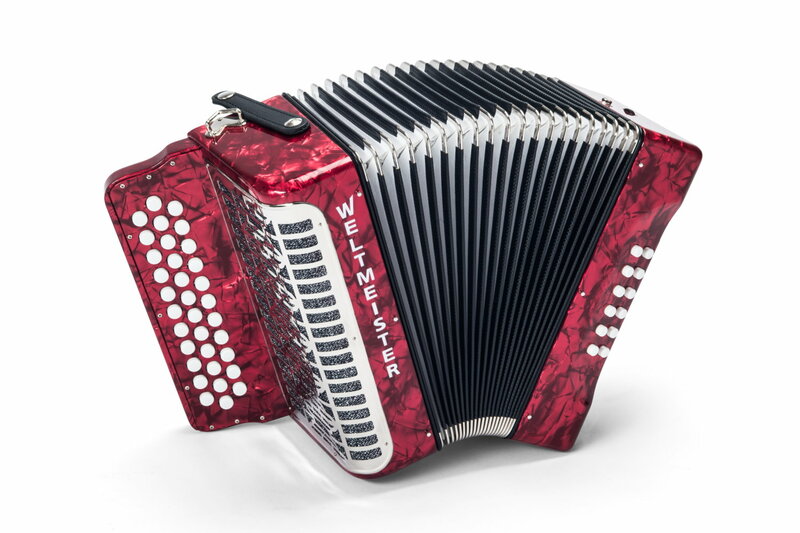 Its timeless design provides the finishing touch to the Weltmeister Monte. 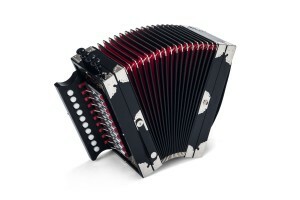 For more folklore accordions have a look in our online shop. 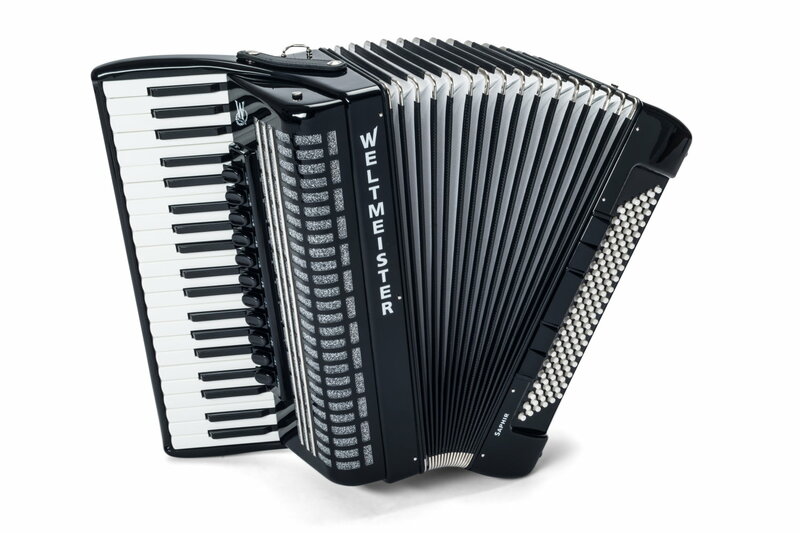 Our diatonic range of instruments offers a start for everyone. 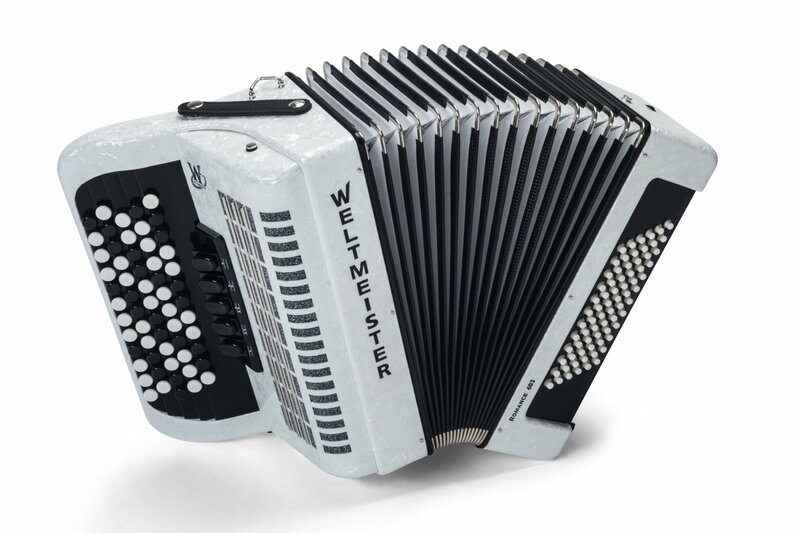 Whether you are looking for a Styrian harmonica or the Wiener 571 popular in Mexican music, the small and light-weight 86W when you are on the move, or the Cajun accordion important in the Tex-Mex, we have a suitable instrument for everyone. 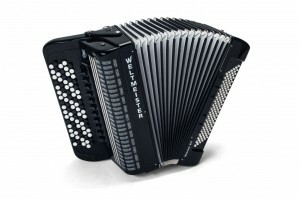 For more diatonic harmonicas have a look in our online shop. 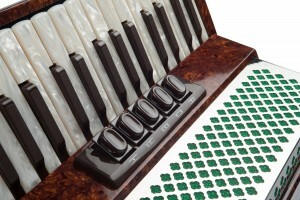 The orchestra bass for a rich sound base and the Weltmeister Freebass for freethinkers complete Harmona’s product range. 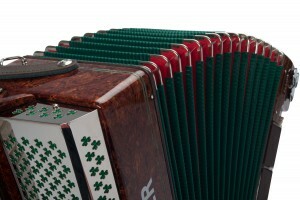 For more special instruments have a look in our online shop. Are you looking for the right spare part? 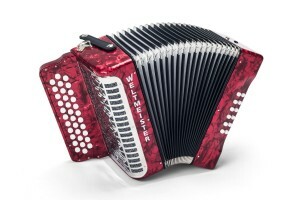 We are happy to offer you comprehensive advice and help you find the right retailer.